The Price of Freedom Denied shows that, contrary to popular opinion, ensuring religious freedom for all reduces violent religious persecution and conflict. Others have suggested that restrictions on religion are necessary to maintain order or preserve a peaceful religious homogeneity. Brian J. 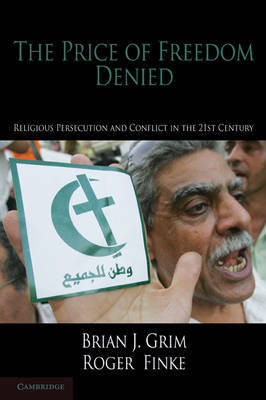 Grim and Roger Finke show that restricting religious freedoms is associated with higher levels of violent persecution. Relying on a new source of coded data for nearly 200 countries and case studies of six countries, the book offers a global profile of religious freedom and religious persecution. Grim and Finke report that persecution is evident in all regions and is standard fare for many. They also find that religious freedoms are routinely denied and that government and the society at large serve to restrict these freedoms. They conclude that the price of freedom denied is high indeed.